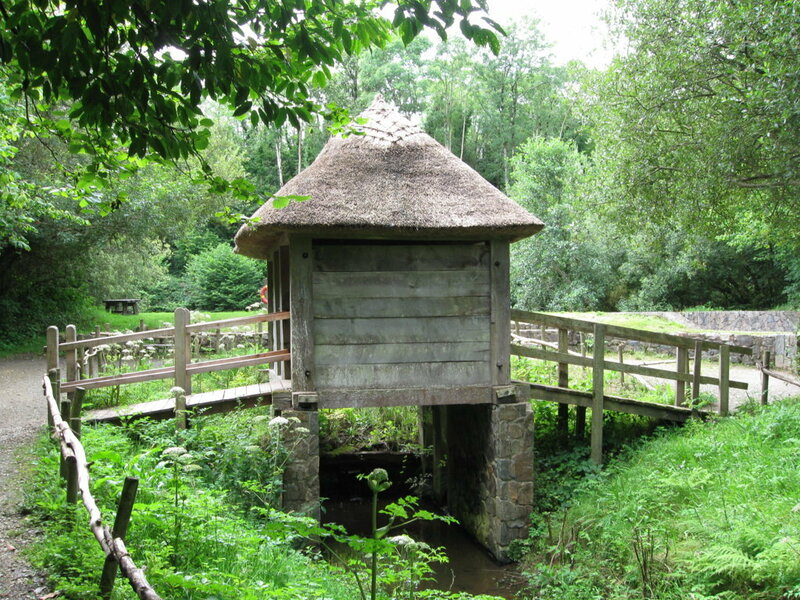 A tide mill is a water mill that derives its power from the rise and fall of the tide. In the Cave’s Marsh tide mill the rising tide would have flowed through a one way gate into a mill pond which was formed by a ford or dam running across the mouth of the Gaybrook stream where it widened and merged with the estuary waters. The gate would close automatically when the tide began to fall thus trapping a large volume of water. 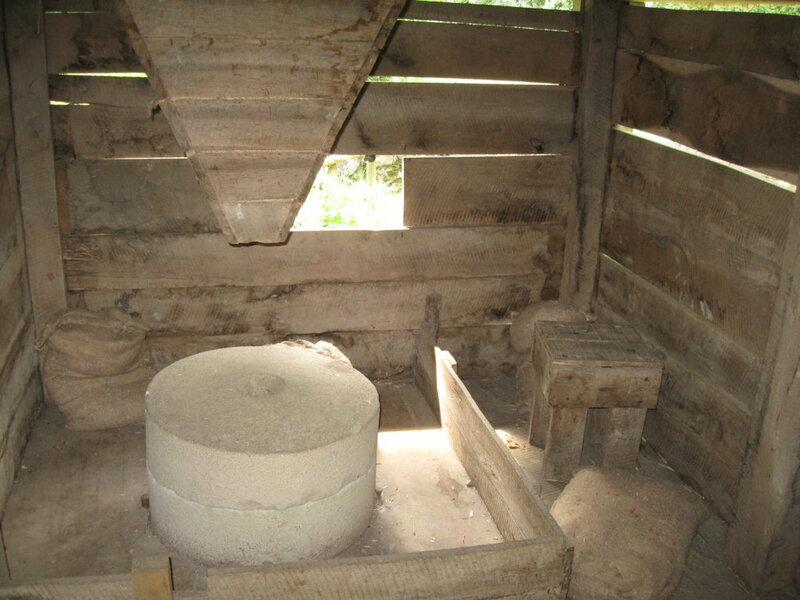 When the tide was low enough, the stored water would be released to turn the water wheel, which in turn powered the mill stone. 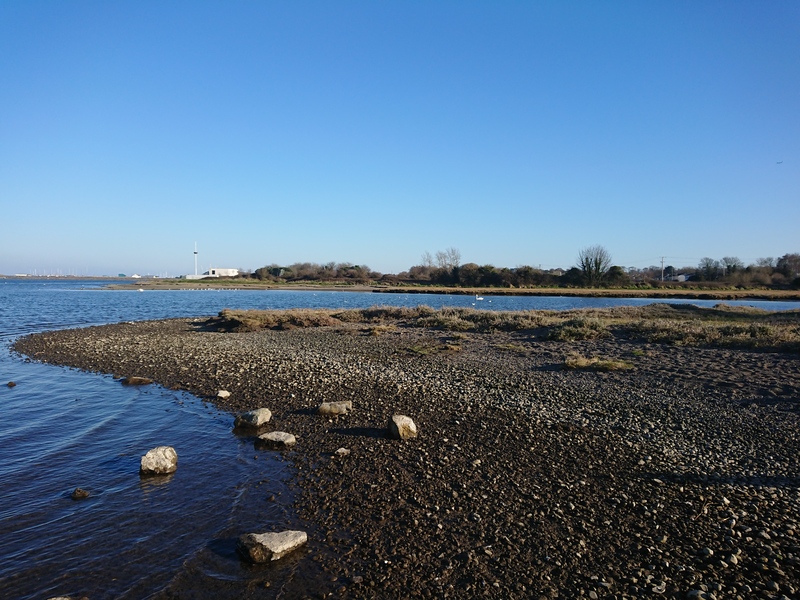 River estuaries were ideal locations for tide mills as they were close enough to the sea to have a reasonable tidal range but not so close as to be adversely affected by waves. 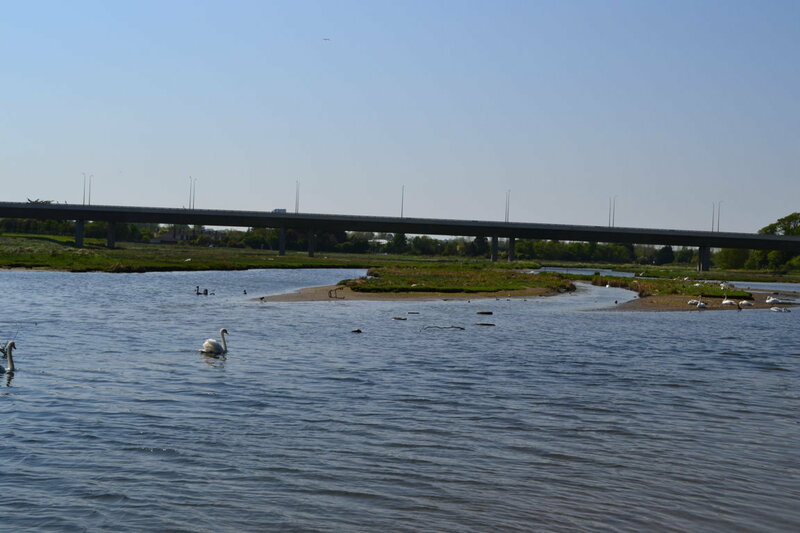 The estuary as it is today is a result of the building of the railway viaduct in 1844. The viaduct effectively impounded the estuary, resulting in a dramatic reduction in its tidal variation. This, of course, would not have been the case when the tide mill was in operation. The Cave’s Marsh tide mill is mentioned in a report by a Dr William Petty, a physician in Oliver Cromwell’s army, which invaded Ireland in 1649 and took control of Malahide Castle having previously attacked and taken the town of Drogheda. The army most likely followed the route of the ‘old sea road‘ on its march to the castle from Drogheda. A mill is indicated on Rocque’s 1762 map of county Dublin. Another map6 dating from around the same time is more precise about the location of the tide mill. 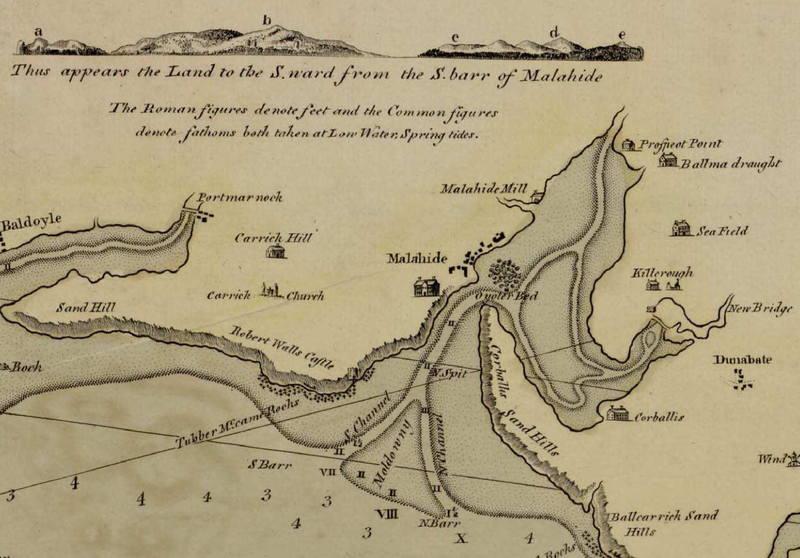 Extract from ” A New and Correct Chart, of the Bay of Dublin and Coast of Ireland from Wicklow to Balbriggen” showing the location of a “Malahide Mill”*. The map was created sometime between 1750 and 1800. Location of the tide mill according to the chart above. 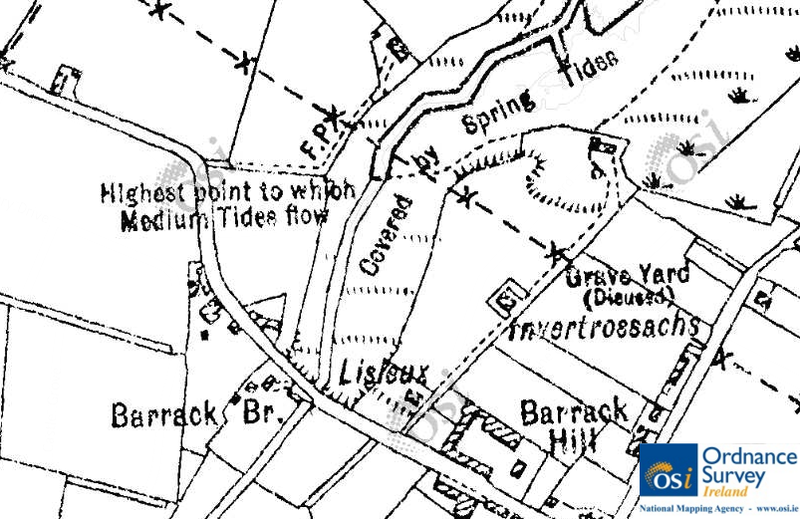 An entry in the Archaeological Survey Database of the National Monuments Service5 says that the mill “was probably located at the highest point to which the medium tide flows” as shown in the OSI map below. Map showing possible location of the tide mill © Ordnance Survey Ireland/Government of Ireland. The first tide mill on the site may have been constructed by Norsemen who possibly established a base at Cave’s marsh between the 7th and 9th centuries (see Norse Longphort). If this is the case, the mill could have been a Norse grist mill. This type of mill was ideally suited to tidal power as it had a wheel set horizontally on a vertical shaft. The small wheel could be turned without the need for gears. 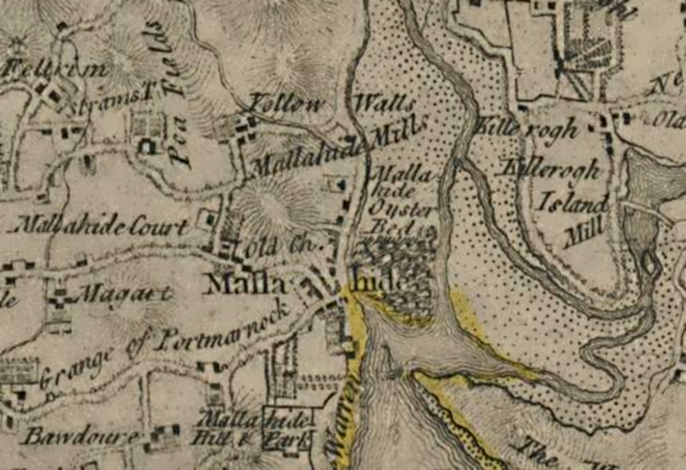 *Also shown on the map is the “lost village” of Ballymadrough (top right, spelled “Ballmadraught”) and the sand hills that are thought to be one possible origin of the name “Malahide” i.e. 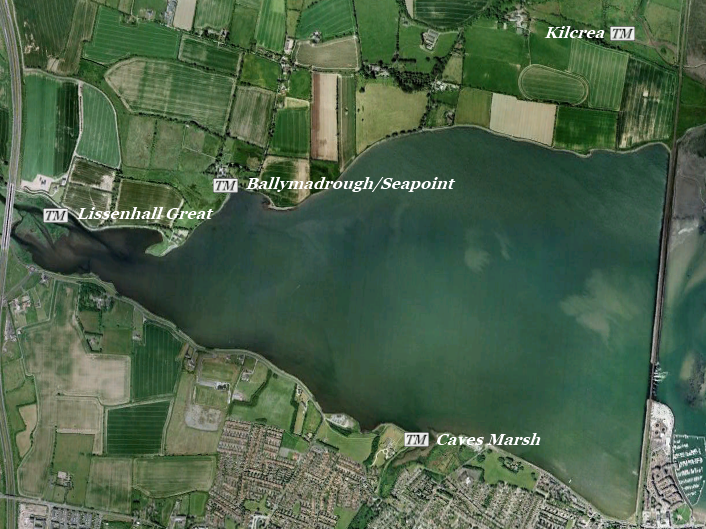 Mullac h-Ide, the Sandhills of the Hydes (the Hydes were a Norman family from Donabate across the estuary from Malahide as shown on the map). 1. Malahide Historical Society Newsletter, December 1994. 2. Petty, Doctor William. The History of the Survey of Ireland, Commonly Called The Down Survey. Dublin: Irish Archaeological Society, 1851. 3. 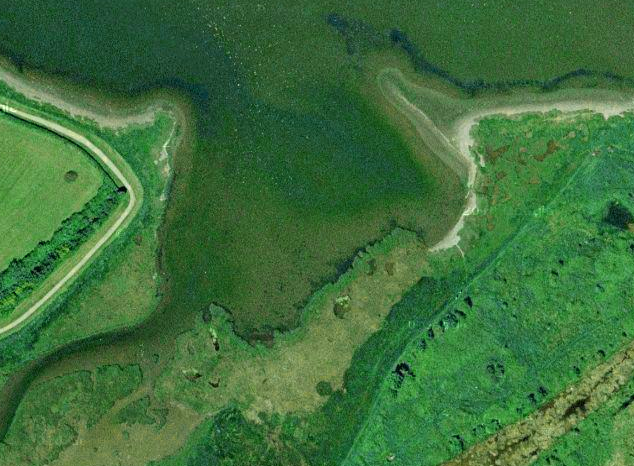 Irish National Heritage Park [online]. 4. Harnessing the Tides. EHS Coast, Issue 02, 2007. Environment and Heritage Service (UK). 5. Archaeological Survey Database of the National Monuments Service [online]. 6. Europeana – the European digital library, museum and archive [online].